It was with some delight that I read the introduction of Thomas Piketty’s book, Capital in the Twenty-First Century. Right from the beginning, he announced that he would not be bound by “the childish passion for mathematics.” Rather, his approach would include the social sciences since “economics should never have sought to divorce itself from the other social sciences and can only advance in conjunction with them.” Piketty even threw in some passages from French and English literature to serve as bona fide proof of his break from economic orthodoxy. 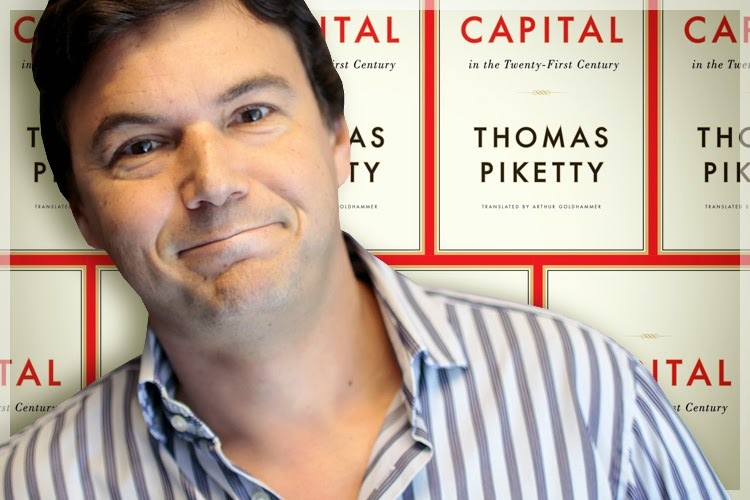 Of course, Piketty is right. As a social science, economics must consider factors outside the realm of numbers. Economics deals with the human activity of production, administration, and exchange of goods and services. Human actions, being fickle, are not predictable with mathematical precision. In addition, transactions often involve moral actions, and so to properly judge, order, and interpret these actions, the economist needs to work in conjunction with the social and normative sciences. However, my delight soon turned to disappointment. After his emphatic declaration of war on modern economics, I was surprised by Piketty’s failure to abide by his own rules of engagement. We are immediately introduced to his mathematical formula of “r>g” (meaning, “rate of return is greater than growth”) from which he explains the inevitability of “excessive” inequality in almost classical fashion. There are literally dozens and dozens of supporting charts. The reader is immersed in numbers, figures and data. Granted, he may draw upon sources that may qualify as coming from the social sciences, but there are two things that are disconcerting about Piketty’s “social science” approach. The first is that his presentation does not work in conjunction with the social sciences, but rather makes these disciplines subservient to his inexorable law of economics. He describes his thesis as a given, yet assembles all other data accordingly without looking for the causes of things as social science should do. We are told, for example, that excessive inequalities exist, but nothing about the nature of these inequalities. In Piketty’s ethereal and abstract world, all inequalities are equal. The most abusive slumlord is equal to the widow landlord because both are hated “rentiers” who take from the worker. The most unscrupulous speculator and the most hardworking business owner both make up part of the dreadful one percent. His is a secular and amoral world where need and greed, necessity and luxury, virtue and vice are all indifferently registered on his charts and graphs. We see nothing like the sociological analysis of Charles Murray who in his book, Coming Apart, attributes the widening gap between poor and rich to the breakdown of family and social structures. Indeed, Piketty reduces the sociological causes of inequalities to the lowering of tax rates and conservative political policies. We are not allowed to think of solutions beyond measures like progressive tax rates as high as 80 percent for those with incomes over half a million dollars and other punitive wealth taxes. The second disconcerting thing is Piketty’s “social science” use of data, which critics are already questioning. His work is meant to be a monolithic book. The mere physical size of this nearly 700-page tome is intimidating as are its impressive charts and some seventy-five pages of extensive endnotes. The book appears as one solid brick of a book difficult to refute. And that is the problem of Piketty’s work. In face of the present crisis, we do not need conjectures presented as principles or questionable theories presented as laws. “Social science” solutions should embrace all social and normative sciences including moral and ethical ones. We need a solid foundation of unchanging principles and not a towering mass of Jell-O-like uncertainties. Spero columnist John Horvat II is a scholar, researcher, educator, international speaker, and author. 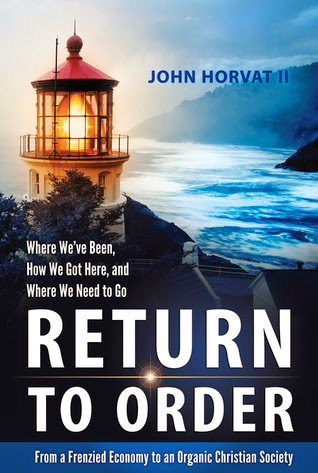 Recently his book Return to Order ranked first on Amazon in four countries.